Console players got to test drive Destiny 2 last month, and now it’s your turn to give the game a go if you are a PC gamer. This is because Destiny 2’s beta test will get underway next Monday for those who have pre-ordered the game (and a day later for everyone else) before wrapping up on Thursday, August 31. And those interested in playing this beta will no doubt want to know what the PC system requirements are in order to make sure their rig cuts it before diving into the action. Thankfully these are not too steep, and an Intel Core i3-3250 processor or AMD equivalent will be needed to run the beta, while 6 GB of memory will also be necessary to get going. A beefier machine will be needed to see the game at its best, and Bungie recommends a system with a Ryzen 5 1600X CPU or an Intel Core i5-2400 and at least 8 GB of memory (see full system requirements below). 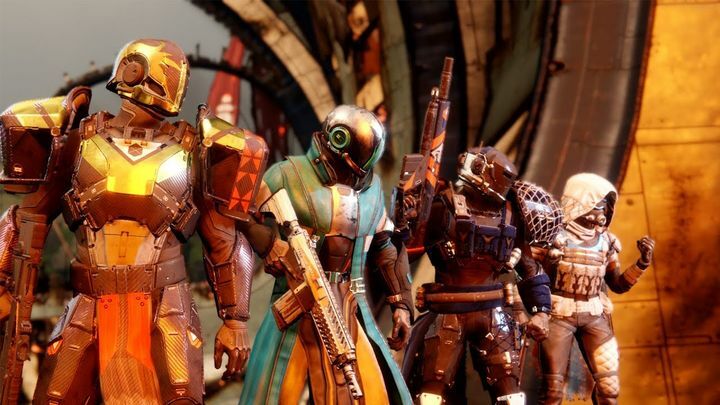 Also, those who play on PC next week will be able to enjoy a more refined version of the game that their console counterparts did in July, as Bungie has sorted out several issues that plagued the earlier console beta. Some of these were the “infinite” glitches, such as being able to use your characters’ “Supers” an infinite amount of times. Also, the infinite grenades glitch and infinite Warlock glides bug have been sorted out now, even if Bungie itself admits that getting rid of the latter did hurt them somewhat. “This bug was awesome… So awesome it hurt us a little bit to kill it”, said the developer in a blog post. Additionally, Warlocks also get nerfed in the fact that they will now have the same melee range as other characters too. Other balance changes include a reduction in the time it takes to charge your Super move in the game, as some players were unable to get their Supers in before matches were over, which obviously wasn’t a great thing… Also, grenades will now pack the punch you expect when you use them in PvE situations, even if they now have longer cooldowns, though. And Guardians will now have access to more Power Ammo when facing computer-controlled enemies in the game, so you will be able to hit harder than players could in the earlier console beta. So, this could be a great opportunity to sample one of the most eagerly anticipated games of the year before Destiny 2’s PC release on October 24 (the console version hits shelves on September 6). For more info on what’s included in the beta, take a look here.